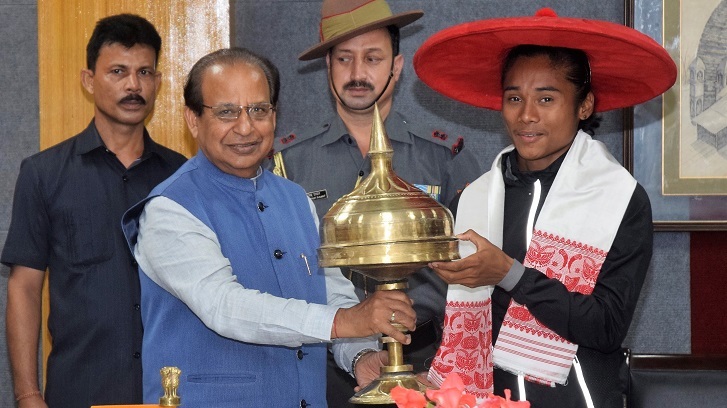 In recognition to the extraordinary talent and her meteoric rise in the sprint circuit, Assam Governor Prof Jagdish Mukhi felicitated Hima Das at a function held at Raj Bhavan in Guwahati on Monday. 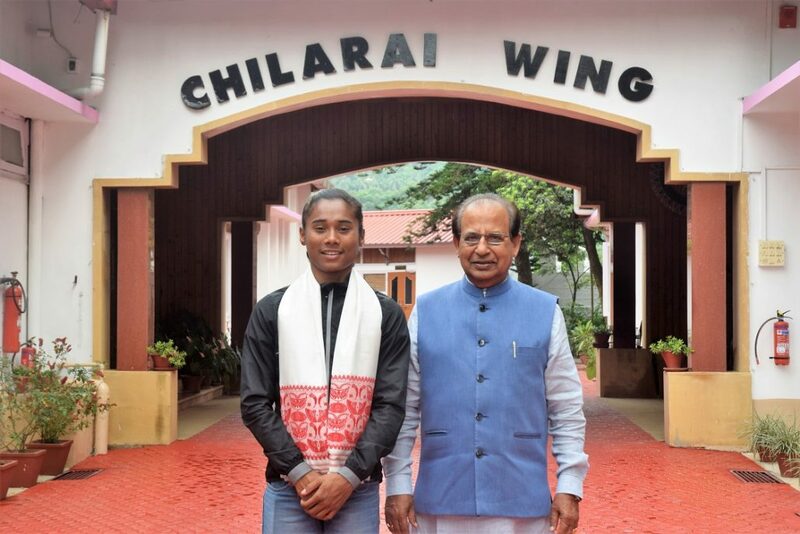 Hima won 2 gold medals in 200 metre and 400 metre sprint in her record breaking feat at the 58th National Inter-State Athletics Championship, at Indira Gandhi Athletics Stadium at Sarusajai in Guwahati. “I am happy to have run my personal best at my home track and I am privileged to have been felicitated by the Governor. It is special,” expressed Hima. The Governor also said that her consistency is worth appreciating. He also said that all supports would be provided to Hima to chase her dream. He also believed that she will make the nation proud in the world arena and wished her all success for the World Junior Athletics Championship to be held on 10th to 15th July, 2018 at Finland as well as in the forthcoming Asian Games. He also said that Hima Das is a source of motivation to other young athletes who can emulate her achievement to scale any height in life.